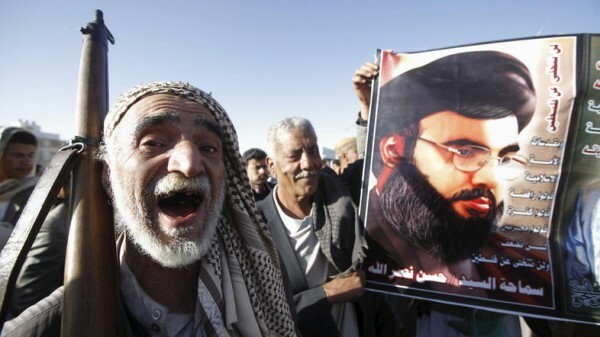 The Iranian backed Hezbollah militant group denied on Friday that any of its fighters were killed in Yemen after claims by the Saudi-led coalition that it killed eight of its members there. The coalition battling Shiite Huthi rebels in Yemen on Monday said its forces killed eight members of Hezbollah, including a commander, in the northern Maran province. Hezbollah chief Hassan Nasrallah on Friday dodged the question of whether he had fighters in Yemen but denied any had been killed. “We’ve recently said that for certain reasons and interests, we do not say whether we have a presence in Yemen,” Nasrallah said during a televised address. “But whether we’re there or not, I categorically deny that there are Hezbollah martyrs in Yemen — not in the last few days nor in recent years,” he said. “Is there something else? We do not deny, we do not confirm,” he said on Friday. The Saudi-led coalition has repeatedly accused Hezbollah and its backer Iran of providing help to Huthi rebels, including ballistic missiles from Tehran that have targeted Saudi Arabia. Monday was the first time the coalition officially announced Hezbollah deaths in Yemen, although its spokesman Colonel Turki al-Maliki said they were not the first Hezbollah fighters killed there. Nearly 10,000 people have died in the Yemen war since 2015, when Saudi Arabia and its allies joined the government’s fight against the Huthis. “Hezbollah denies” LOL that is funny. Hezbollah knows the art of constant denial from their paymasters. They are still in denial over their denials. Really be it the Iranian mullah government or any number of their minion militias, nobody ever believes a damn thing coming from the militant jihad shiites. compulsive lairs, the lot of them. (News picture) Look at that old Houthi with the Lee Enfield holding up a picture of Iran’s main proxy minion. Sickening how the brainwashing works so well on the weak minded. The only thing missing is a cheek full of narcotic Qat.